The Smithsonian’s National Zoo Invertebrate Exhibit, home to dozens of small aquatic and terrestrial species without backbones, will close to the public Sunday, June 22. The last day to visit the Invertebrate House is Saturday, June 21. Closing the Invertebrate Exhibit permits the Zoo to reallocate funding, staff and resources to other areas of the Zoo that need attention. With overall costs escalating, the Zoo must adapt its activities and programs to live within its existing budget while continuing excellent animal care and planning for the future. Every permanent staff person will retain their job and be reassigned to other positions throughout the Zoo. 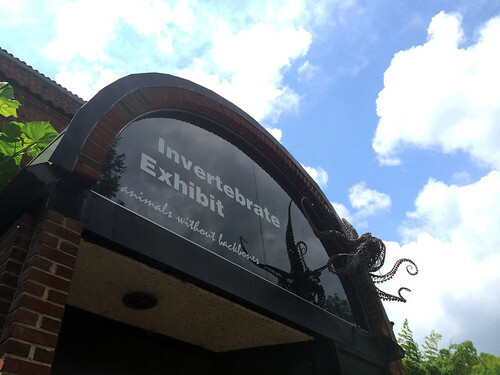 The Invertebrate Exhibit, as it exists today, is not included in the Zoo’s Strategic Five-Year Plan or its 20-Year Programmatic Master Plan. The long-term vision includes a future Hall of Biodiversity, which will include some invertebrate species. The annual operating cost for the Invertebrate Exhibit is $1 million. The exhibit currently needs an estimated $5 million in upgrades to equipment, life-support systems, building infrastructure and exhibit interpretation. In 1987, the National Zoo opened the Invertebrate Exhibit in the basement of the Reptile Discovery Center. Hailed as a ground-breaking exhibit at the time, it allowed the Zoo to showcase and educate visitors about invertebrates as nature’s unsung heroes, quietly playing vital roles in Earth’s ecosystems. Invertebrates make up about 99 percent of all known living species. Today, the Invertebrate Exhibit is home to the common cuttlefish, corals, anemones, the Chesapeake Bay blue crab, water scorpions, the giant hermit crab, leaf-cutter ants, the American spiny lobster, giant clam and butterflies, among others. Per Smithsonian protocol, most of the animals will be de-accessioned through formal processes to new homes. Some will be moved to Association of Zoos and Aquariums-accredited facilities, and some may be moved to another location in the Zoo. Those with short life spans will likely live out their lives in the Invertebrate Exhibit. The Zoo will provide updates on the invertebrate collection via Facebook, Twitter and Instagram and through National Zoo News.